​In my former career, we had a saying, “Ready, Shoot, Aim”. It was a philosophy which believed – in theory and in practice – that quick action was the best action. Confront the situation, act on it, then make any necessary course corrections later. In that very competitive, very fast paced corporate environment, the approach made sense; or at least we reasoned that it made sense. And maybe it did there. But it didn’t take very long before I was applying that active problem solving method to my personal and family life. I was a decision maker. When everyone else answered “I don’t care” to me asking “what do you want for dinner?”, I decided. When someone was ill and needed attention, I attended, I didn’t debate, I just did. When at school or PTA meetings and an idea surfaced, I ran with it; while others were wanting to talk it out, I was already working it out. When a problem needed solving, I solved it; and when something needed doing, I did it. Maybe some of you know someone like that. Maybe some of you ARE someone like that. Is it a bad thing? You have to decide…. A few years ago God very clearly spoke to me that I would be leaving that corporate environment and I would be going to work for Him. A little side note about me – I love change and I love a challenge. I love the combination of those feelings of anticipation and excitement of something new. So while I was totally scared, going through every reason why I could NOT work for God, I was at the same time beyond excited about the challenge of something new. And guess what kicked in? You got it. My ready – shoot – aim work philosophy. God gave me just a passing glance, an almost unrecognizable image, of what was to come; and I was left to interpret what it meant and what I was supposed to do with it. ​In today’s scripture, we find Moses in a sort of similar situation. God has given him a job. If we go back to verse 12, Moses reveals the assignment, “See, you say to me, ‘Bring up this people…’” But we already know Moses and we know that God designated him to lead God’s people out of Egypt and into their promised Holy Land. Let’s look at Moses’ reaction, continuing to read vs 12, “…but you have not let me know whom you will send with me…” and into vs 13 “… please show me now your ways...”. 2) asking God what the plan is. Moses wanted to know the details, he wanted to know the plan and he wanted to know who was going with him. Specifically, he did not want to go it alone without God. 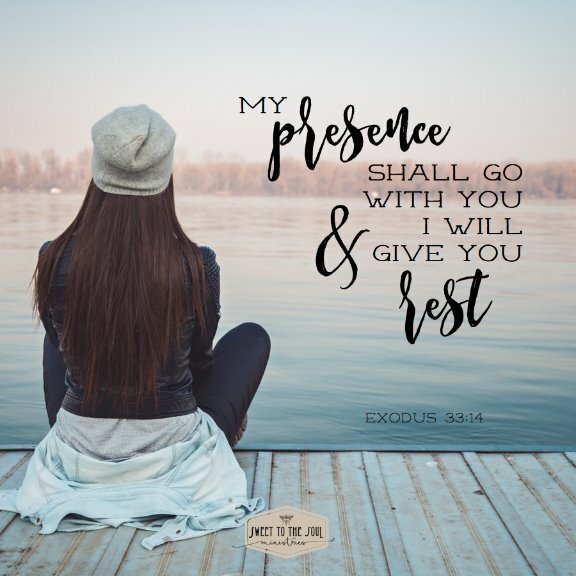 Because in verse 15, Moses tells God, “… if your presence will not go with me, do not bring us up...”. Or, if you’re not going, I don’t want to go. I love the way it is presented in the Matthew Henry Commentary: Moses speaks as one who dreaded the thought of going forward without the Lord’s presence. This is NOT the ready – shoot – aim approach. This is the I’m ready – show me the way – I will go approach. And that really convicts me. ​Ok, back to my part of this. After God had given me this passing glance at an assignment, I – unlike Moses – did not ask God for the details of His plan. Oh no. I immediately began developing and implementing MY plan. Door after door was closed. Action after action failed. Person after person bailed. Failure. Disappointment. Feelings of inadequacy. Stress. Anxiety. Not only had I not asked God about His plan I had not even asked God to come along. God had given Moses a big job. But He also gave Moses a key – God was going with him and merely by His presence, Moses would have rest for the journey. 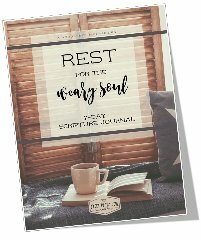 The Greek word for rest here means: to settle down, to dwell, to give comfort. God offered to go with Moses for this huge assignment and to give him all of these things. I have learned – and apparently need to re-learn often – that in those times when I feel unrest, when I am anxious or unsettled, when my stress-o-meter is in the red zone – I am going it alone. Not alone because God has abandoned me, oh no, alone because I have run so hard and so fast ahead of God that I’ve run away from Him. Running away from God. Sounds like rebellion. Even when I’m doing God’s work? But if I’m running ahead or off course, chasing after MY version of God’s work, am I really doing God’s work or my work? When God calls on me, a hurried yes is no better than a no, if it is going to take me outside of God’s will. ​In just a very few verses of scripture, Moses provides for us an example of what our approach should be with our God assignments. Sometimes the most difficult part of learning something new, is unlearning something old. But I am determined. I don’t want to go it alone. I don’t want to run ahead of or without God. 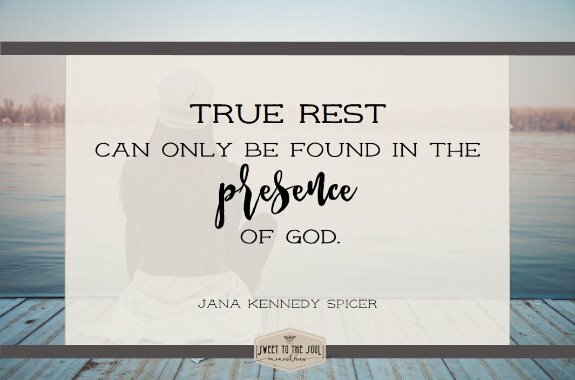 I so desire the peace and rest which can only be found in His presence. The peace that passes all understanding. ​What about you? In times of great anxiety, stress and unrest, are you going it alone? Have you run ahead or stepped outside of God’s will? If so, call out to Him. Let his beacon of grace shine a light on the path back to His will for your life. Lord, we acknowledge you as all powerful, all knowing and all in control. We thank you that you have authored a plan for each life. That you have kingdom assignments for us. But Father, forgive us for running ahead of you and making our own plans instead of following yours. We ask that you shine the light of your grace over our lives, making the way clear so that we can return to you. Teach us your ways, and create a desire in each heart to not move forward or backward one step without you present. Thank you for hearing our prayers. In your Son's holy name we ask, Amen. What a beautiful post here, Jana! I also find myself tempted to go it alone. Such a beautiful scripture, and I love those 3 steps. Good word and thanks for sharing. I constantly come back to resting instead of doing. A daily challenge. Loved your post today! I agree, it's so easy to plunge enthusiastically into what God is calling us to do but then find we're actually rushing ahead of him, working out our own plan and, as you say, the result is a whole lot of stress. Moses is such a great example of seeing how vital God's presence on the journey was and refusing to go even one step without him. I need to learn from this! Visiting from Testimony Tuesday.